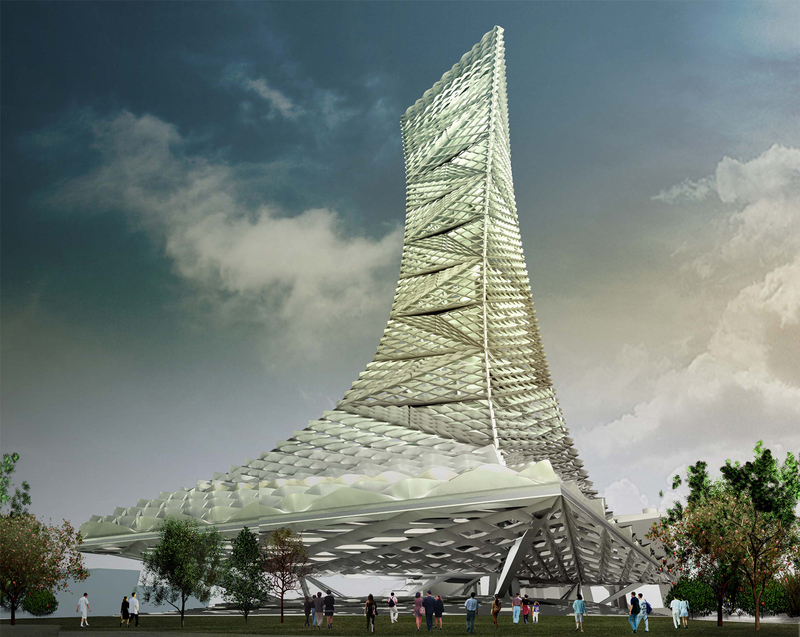 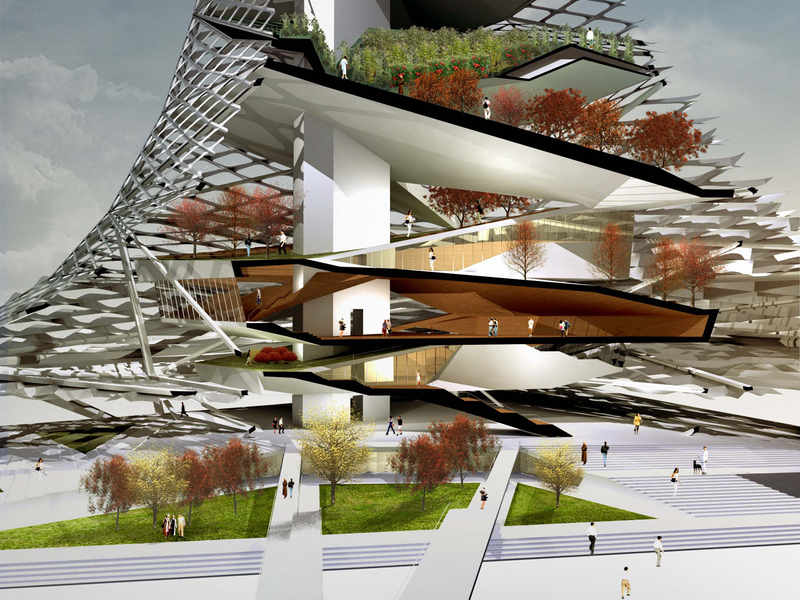 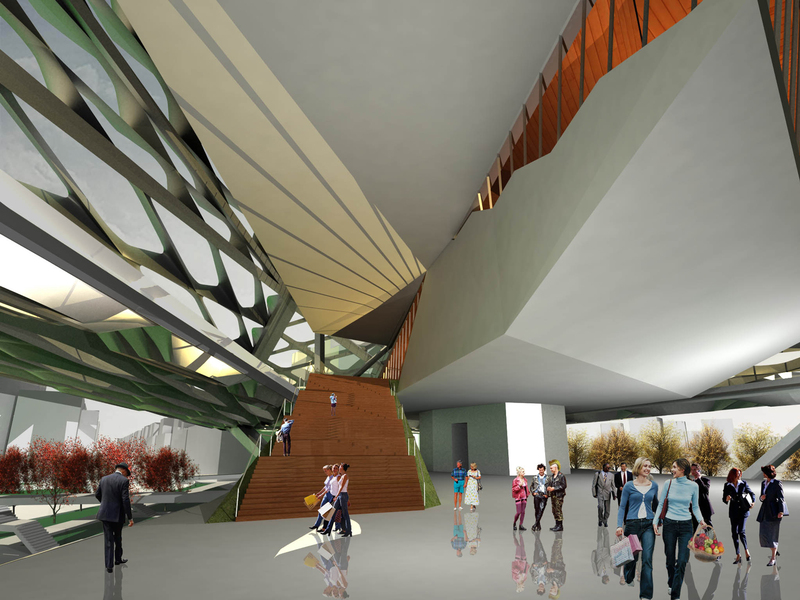 Harvest Tower was proposed for the new Taichung Tower competition in 2011. 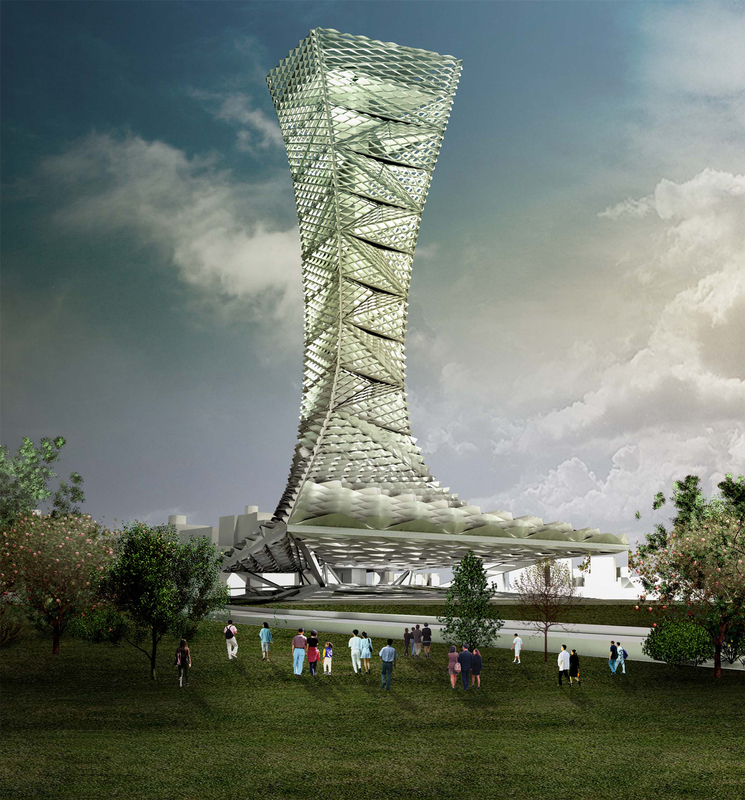 The brief asked for a 350m tall observation tower with a museum of the city and other public functions integrated into it. 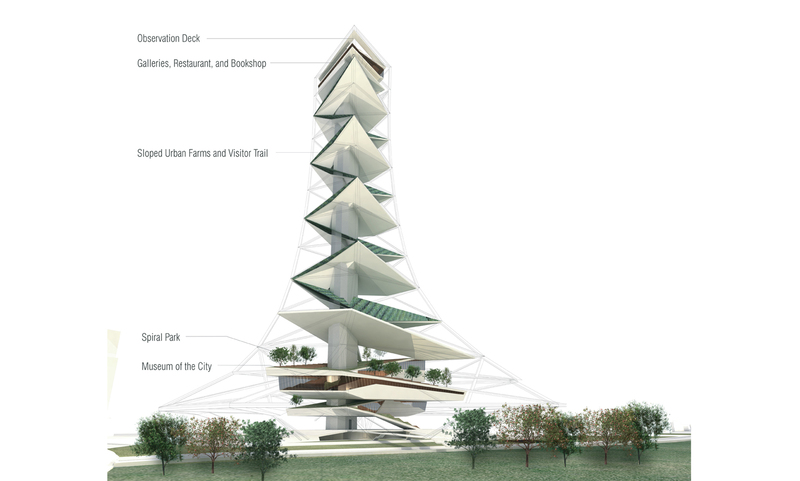 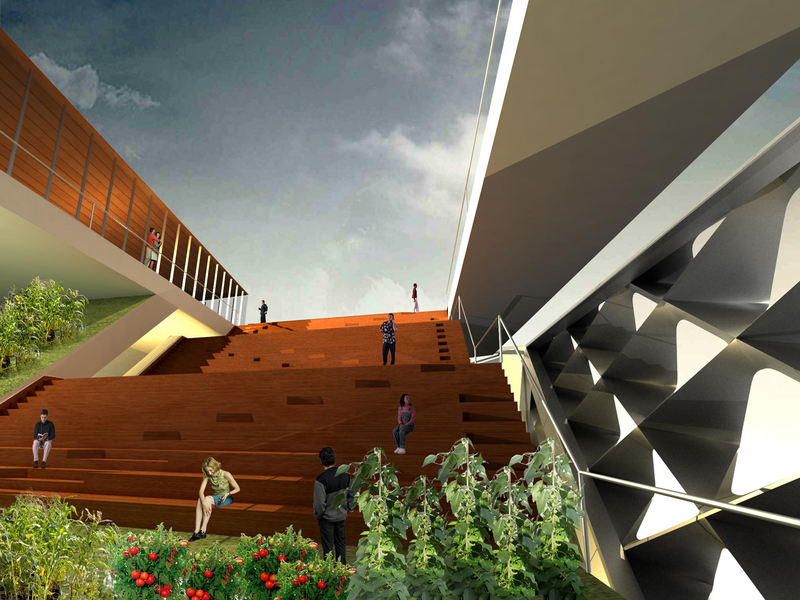 The tower is conceived as a generator of resources: food, wind and solar power, for the surrounding city. 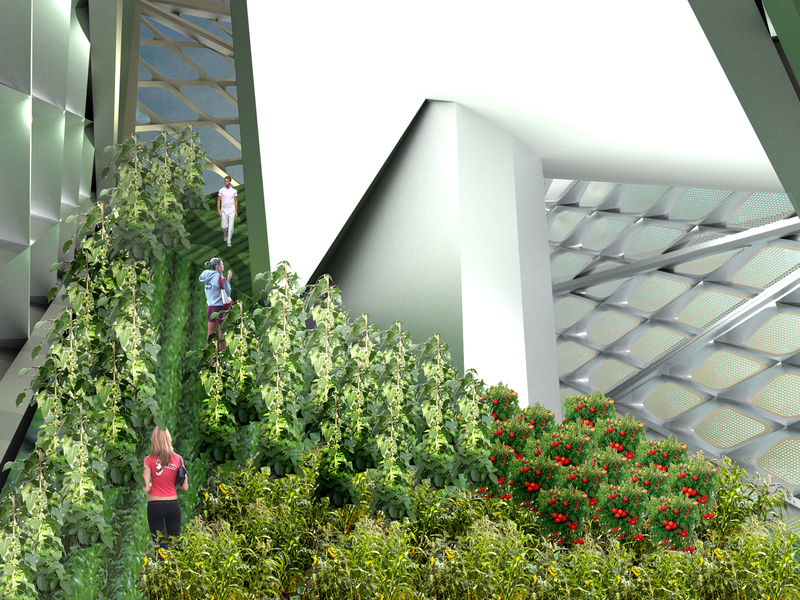 A series of sloped urban farms occupy the center of the tower, oriented toward the sunlight and providing a spiral path that allows visitors to meander down the tower after visiting the observation deck. 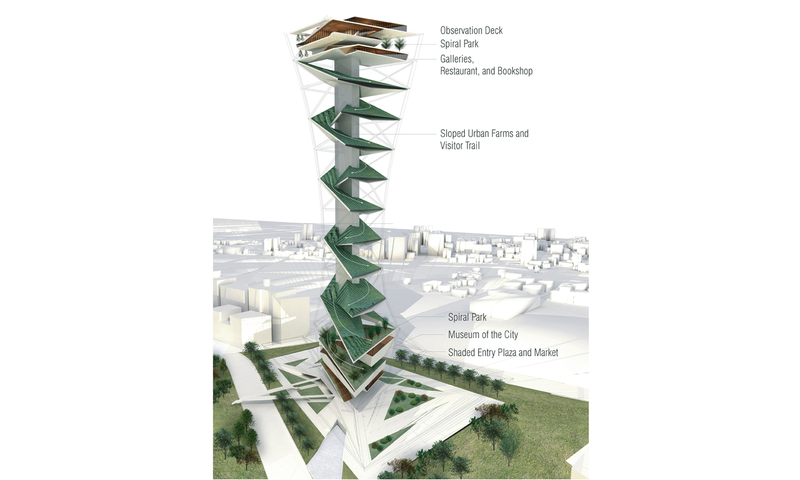 The green spiral continues at the upper and lower extents of the tower, creating a double helix wrapping the museum and gallery spaces. 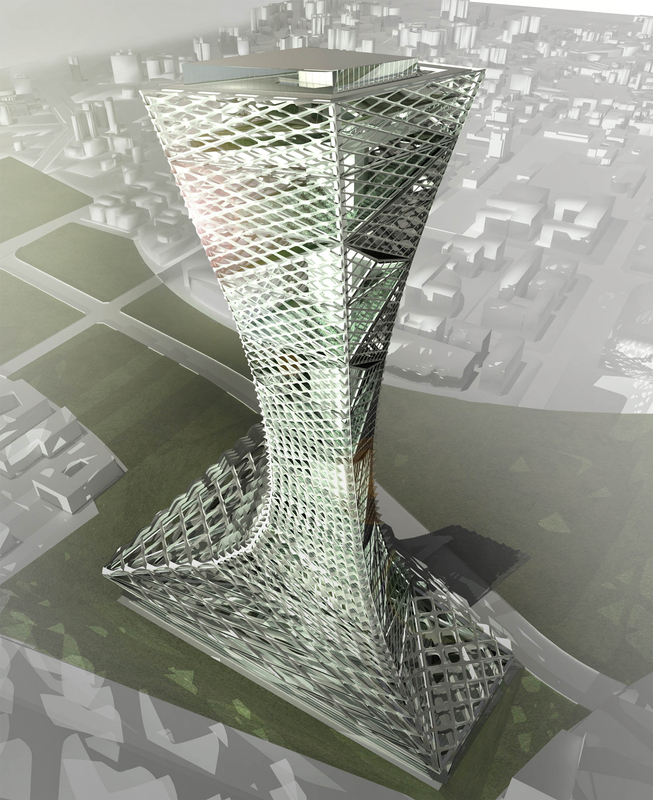 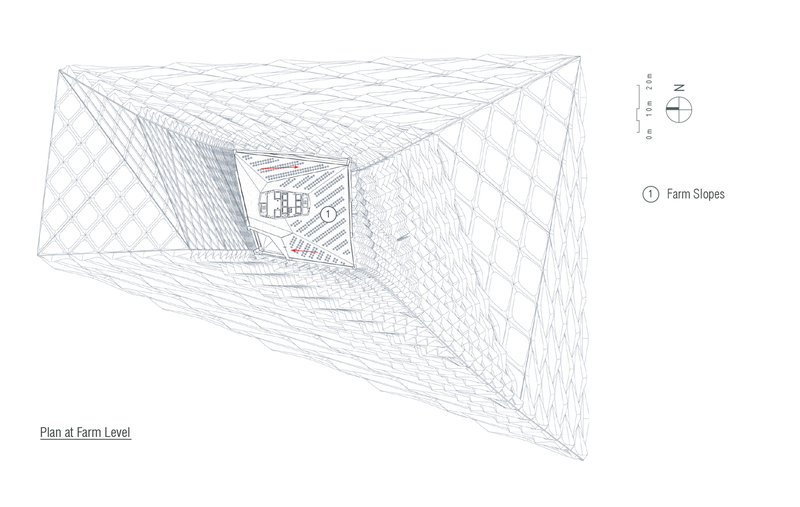 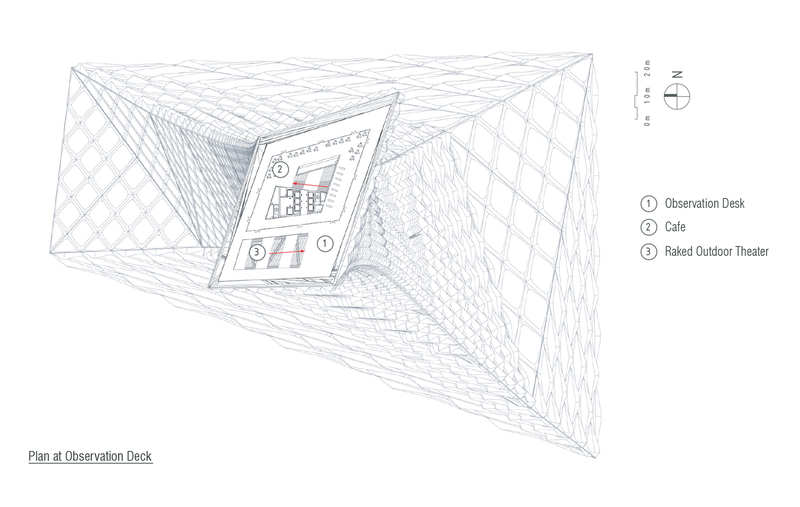 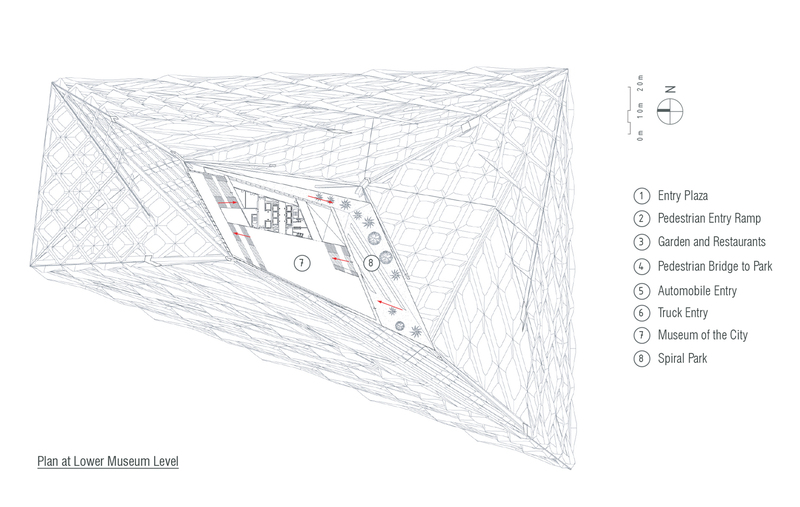 The skin of the tower is an open meshwork of parametrically generated panels. 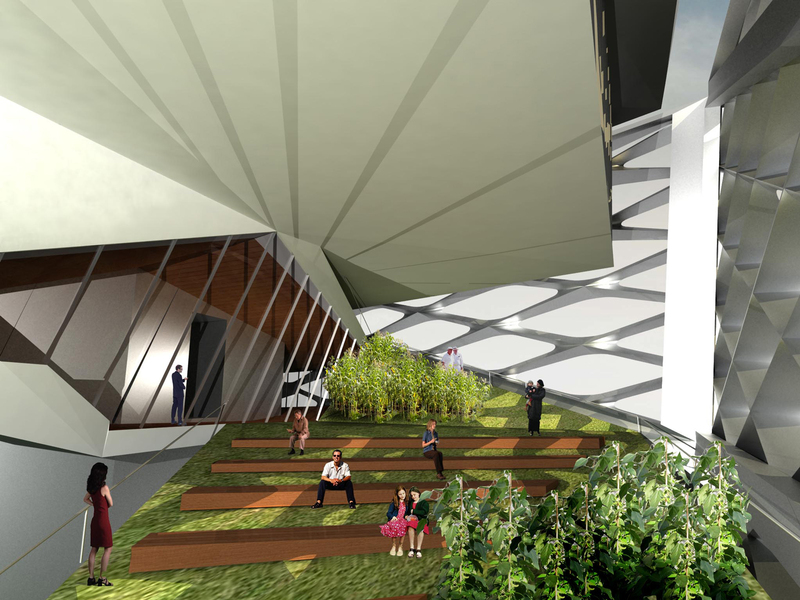 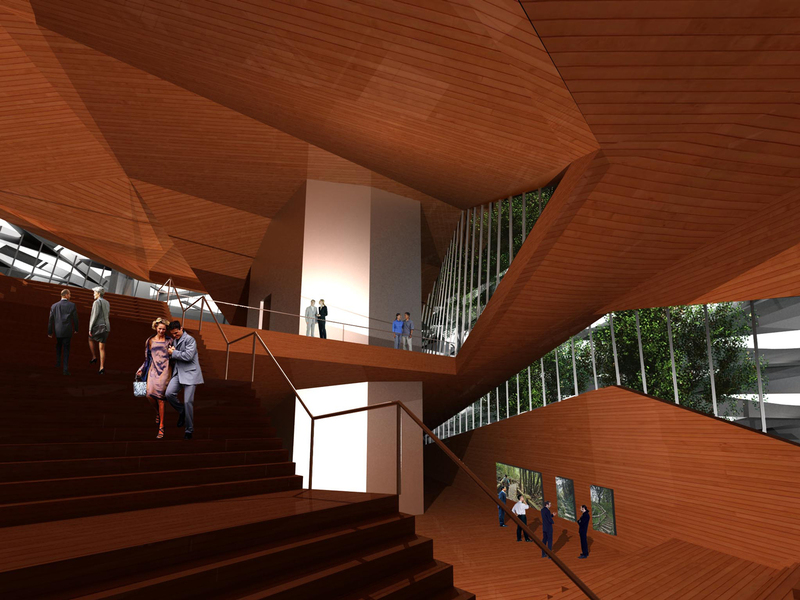 Panels towards the center of the tower are configured to catch sunlight with integrated clear glass photovoltaics, while panels adjacent to the gallery spaces are oriented to shade from sunlight. 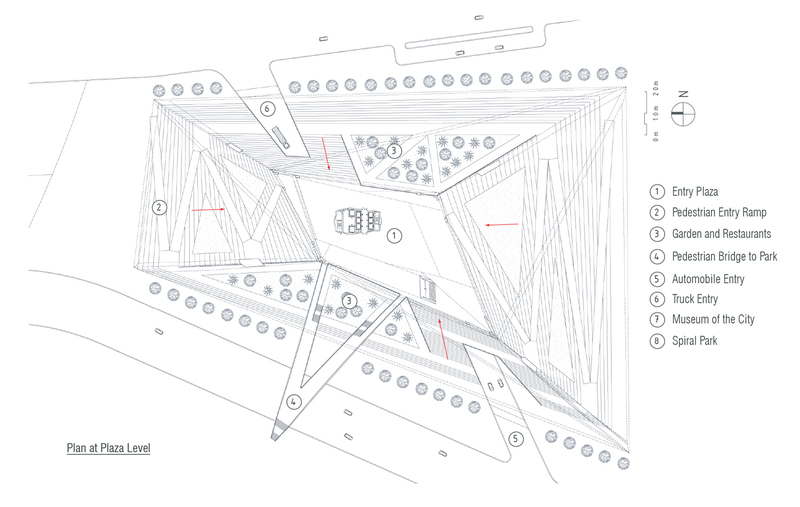 The farm slopes are designed as deep plenums open to the north and south and outfitted with wind turbines.